What should I do next? This is the common question that all parents face when their babies get diagnosed with Down syndrome. Parenting a child with Down syndrome is a bit difficult than what we imagine. Down syndrome is a chromosomal condition that results in an amalgamation of birth abnormalities. You have to manage various physical and mental problems while parenting a child with Down syndrome. For some parents, a routine ultrasound scanning may suggest that you have to expect a baby with Down syndrome. But, for some others, everything will come as a bundle of surprise and shock along with the baby. Whatever it is, face the situation with confidence and hope. Parenting a child with Down syndrome is no more a difficult task with the advance in medical science. Toddlers are at the right age to get trained to acquire many skills that will help them live an almost normal life. Consider them as normal children who need a little more care and support from the parents. Since the responsibility to implement some parenting tips for Down syndrome is completely on you, your task will become a little thornier. 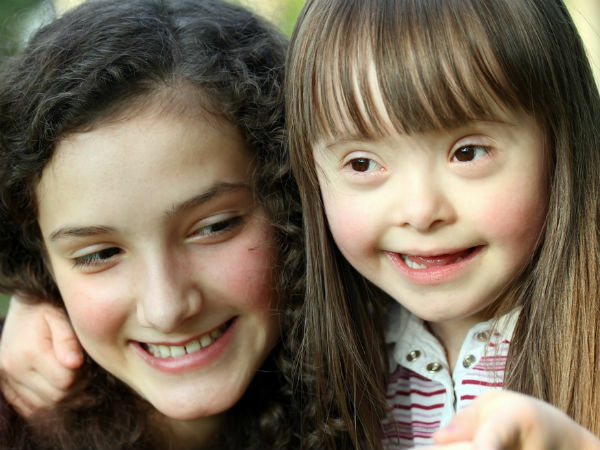 Here, we may discuss some easy and effective parenting tips for Down syndrome. Know what it is: Having a baby with Down syndrome may put the parents under pressure by the attitude and approach of the society. So, it is important for you to know what it exactly is. Move on with confidence and try to spread the awareness. Make a plan: It is a good idea to discuss with other parents who are facing the same situation. This will help you know how they handled each situation. Stay away from conventional theoretical rules and plot a plan by using these practical solutions that can help your toddler improve a lot. Be patient: It is very important to be patient while parenting a child with Down syndrome. Since your toddler will take a little more time to attain most of the abilities, you have to wait with patience for a better result. Proper educational programs: Give the needed educational assistance to your toddler at the recommended age. This will help them improve their skills and talent. There are special education programs and schools that offer a strong future to your child. Rehabilitation techniques: Don’t think that having a toddler with Down syndrome is the end of the world. Proper training and guidance can make your child strong enough to challenge the concepts. Following the necessary rehabilitation techniques is all what you have to do. Manage health issues: One of the most important parenting tips for Down syndrome is to manage the related health issues by providing regular medical care. They are more prone to heart defects, intestinal problems, hearing or vision problems, increased risk for leukaemia, thyroid problems and infections. Professional help: Getting professional advice is very important in raising your child with clear directions. This professional group will include doctors, occupational therapist, speech therapist, counsellors and trained teachers. Know your toddler: Find out the strengths and limitations of your toddler. This is one of the effective parenting tips for Down syndrome. Recognizing the point where you have to give more emphasis will help face their physical, mental, educational and behavioural challenges. Avoid comparison: Understand that your child is special in the way he is. Sink with the truth that your toddler is a bit different in physical and mental developments. So, avoid comparing them with other children of the same age. Instead, focus on bringing the best out of your toddler. Nice house! truly tremendous. Thank you for sharing with us. I like it. Raising a child along with Down symptoms is no much more a difficult job with the enhance in healthcare science. Small children are at the best age to obtain trained to obtain many abilities that will help all of them live a normal living. Toddlers are at the best age to obtain trained to obtain many abilities that will help all of them live a normal living. Consider all of them as regular children who require a little more treatment and assistance from the moms and dads. When you have found a day tend to your tyke, you will need to know a few insights about your youngster mind supplier that will help you to feel more great leaving your kid in another environment.